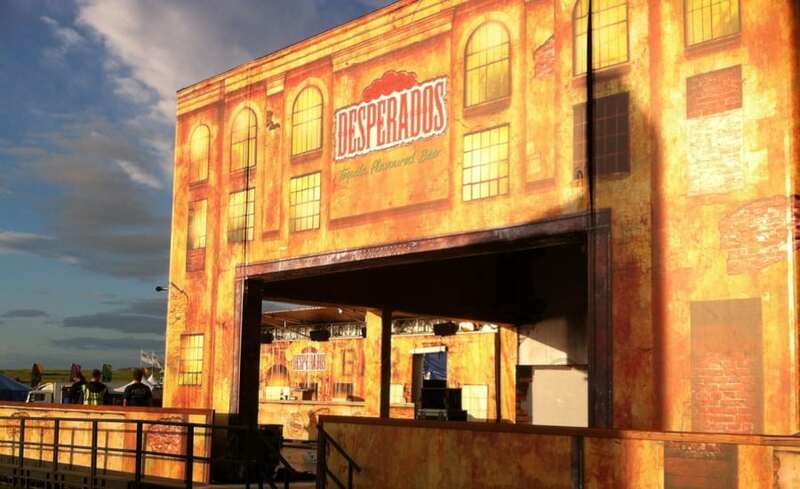 With the successful launch of ‘Desperados’, a premium lager with a Mexican twist, it rapidly became one of the nations most loved drinks and became associated with music festivals. Mobile bars were popping up around the world serving the lager at festivals and events, it was from this popularity Heineken wanted to create one premium tensile fabric bar to tour the music festivals of the world. 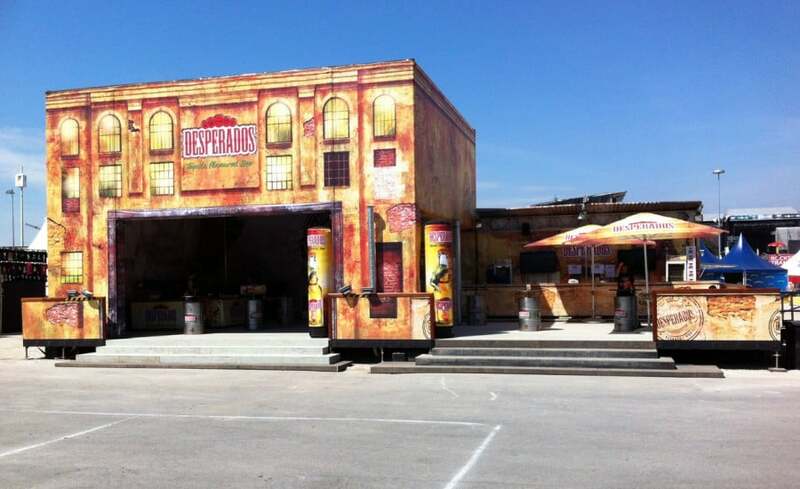 The 10m x 10m x 6m cube shaped event space is entirely clad with tensile fabric printed with artwork reflecting the Desperados brand. Being a flexible material, ideal for demounting and re-erection, PVC coated polyester was the natural choice to create the venue. 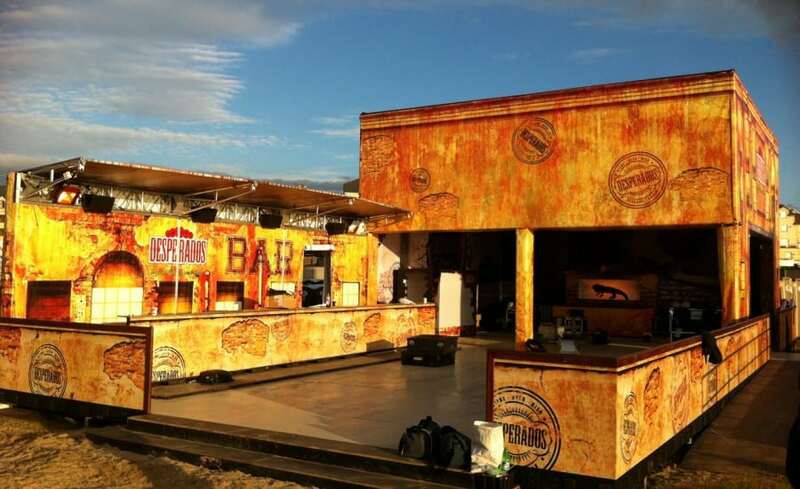 Featuring a 10x10m bar, it is a modular design and so the bar and dance space can have a different layout each time the structure is used allowing the venue to constantly be revamped and changed depending on the use, location and clientele. 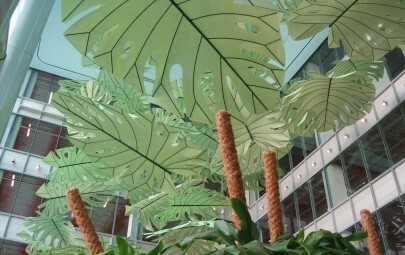 The structure incorporates 800m of printed tensile fabric in a double layer membrane allowing the interior and exterior fabric to be printed with different wild west/tavern branding and avoiding one image bleeding through onto the other. 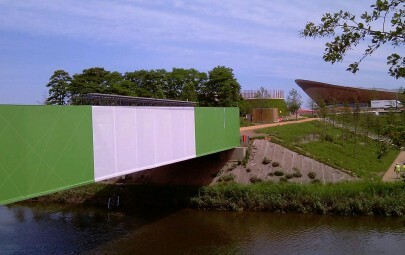 Being a popular and busy venue, the dual membrane also reduces problems with condensation which can build up in such a lively environment!